Greg Nance is the Co-Founder and CEO of ChaseFuture.com, a China-based admissions consulting platform. In recognition of his work in global education, the Diplomatic Courier named Greg one of the "Top 99 Foreign Policy Leaders Under 33." He previously co-founded and serves as Chairman of Moneythink, a financial capability NGO recognized by the Obama Administration as a "Champion of Change." Greg is a graduate of the University of Chicago and Cambridge Business School, where he was a Gates Scholar. 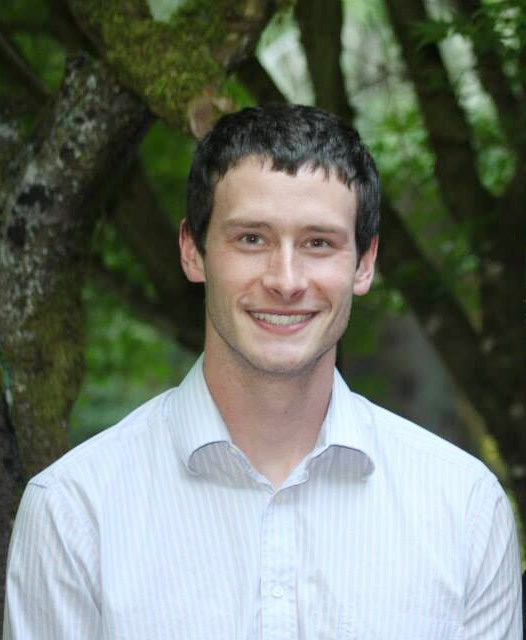 Greg is the 2010 Harry S Truman Scholar from Washington State and enjoys running evergreen forest trails, swimming the Puget Sound, and climbing the snow-capped Cascade Mountains. Greg: Fundamentally, entrepreneurship is about creating value by solving problems for users and customers. Entrepreneurship is a powerful platform to advance new ideas and implement solutions for society's progress. The best entrepreneurs I've met are deeply passionate about their project. They are detail-oriented, patient and focused on delivering value. They're willing to make bold bets and understand the importance of building strong teams and systems of excellence. They are relentlessly committed to making their vision a reality. Q: What are you most proud of in your professional career? Greg: I am proudest of building two great teams to tackle two big challenges. Moneythink has deployed 600 college mentors and the Moneythink Mobile app to teach over 9,000 high school students how to make and manage money in ten U.S. states. ChaseFuture leverages a platform of over 200 admissions experts to expand university access for students all over the world. ChaseFuture's instructional articles and videos have helped over 10 million students access information and resources to apply to university. I believe education is the single greatest vehicle for personal and societal transformation. I've been very fortunate to recruit similarly values-driven and determined teammates. We are underdogs and we will work longer, harder, and smarter to build an organization that positively impacts students across the globe. Q: If you could do something over in your life, what would it be? Greg: My grandfather and childhood hero, Charlie Nance, was a Marine who fought at Iwo Jima. He taught me to do the right thing so I could live a life free of regrets. We all face obstacles and roadblocks but I try to focus on the lessons I've learned and then keep moving. When I began my start-up career, I took each setback on the chin, regularly sacrificing sleep and downing coffees to power through. If I had the chance for a do-over, I would have led a healthy lifestyle from the beginning. My gray hairs are testament to this lesson learned! Greg: When I shared my plan to launch ChaseFuture, Cambridge b-school classmates, friends and advisors tried to dissuade me, "Wait, why do you want to build a proofreading business... in China!?" I pushed back, "No, no, through our platform, we are going to change how students all over the world apply to university." As Peter Thiel argues, contrarian ideas can lead to robust businesses so embark on your path prepared for adversity. I resolutely believed in our vision for a global network to expand education access but was tested by numerous rejections and friend's continued appeals for me to get a real job. From my sweltering Shanghai apartment, I wondered how I would ever make student loan payments or when I could afford a real office or a meal besides ramen noodles. What the hell am I doing? I pitched dozens of prospective angel investors to no avail before William Bao Bean, one of Asia's top VC's, took my meeting and agreed to lead our $400K seed round. Sometimes, all it takes is one mentor to champion your project before the pieces start falling into place. For us, having William Bao Bean in our boardroom started a chain reaction that helped us get off the ground. Q: What advice do you have for starting a company in China? Recruit local talent - There are myriad hurdles and obstacles to building a business, no matter the location. China's language, culture, and regulations can be daunting to outsiders so it's highly advisable to build your project with Chinese partners. Amanda Xiaoyan Zhang and Frank Sun Si, brilliant and diligent Chinese with overseas experience, have helped build ChaseFuture's strong operational foundation. Tap local support - There are numerous start-up accelerators and incubators that can provide discounted office space and help with recruiting, partnership development, and legal and administrative tasks. Mind the trust gap - Even more so than in the West, business in China revolves around trusting relationships. The best way to earn trust is through the small actions that build a long-term reputation for integrity. Anh Hoang and Daniel Burnham, Americans with marrow-deep passion for expanding educational opportunity, have built ChaseFuture's mentor corps and client experience to earn and retain trust in the marketplace. Trust is the most valuable currency in China so invest accordingly. Q: LinkedIn style - If you were to give advice to your 22 year old self, what would it be? 1) Make sure to start the workday with your most important task. It's amazing how much progress can be made in a short time when stacking these small wins. 2) Work can be all consuming so schedule time for family, friends, personal projects, fitness, learning and faith. 3) Worry less about achieving goals and more about building healthy and productive habits, as these are the rocket fuel to excel in the long run. Follow Greg Nance at @GregNance, and check out the other interviews in Going Against the Flow series at http://www.huffingtonpost.com/charu-sharma/ or thestartupsutra.com.